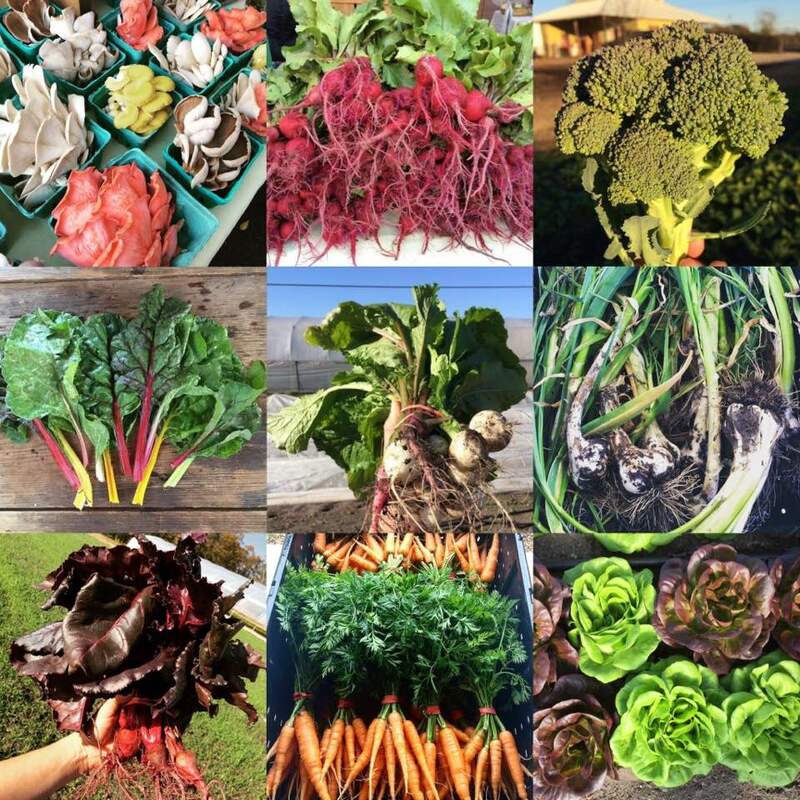 Spring Crops grown for CSA members! 1. CSAs keep small farms, like ours, going. For farmers, all of our inputs are needed before we even plant the first seed. Your CSA membership helps us buy the seed, transplants, water, taxes, fuel, labor and other inputs needed for the season, and provides us with an immediate income to begin each season. This allows us to concentrate on good land stewardship and growing the highest quality food, both of which are important for our CSA members. 2. CSA will teach creativity in the kitchen. Joining a CSA is committing to having a little fun with all the surprises in your weekly share. A fridge full of produce will (gently) push you to be more creative in the kitchen and try new things. And we're here to help! We provide you with weekly emails to guide you each week, with recipe ideas and storage tips. 3. It frees up brain space. Contrary to what you might think, a CSA is a chance to not think about what’s for dinner. You pick up your bounty and work backward from there. In time, you''ll learn how to cook based on what's in your fridge, not at the store. And it helps train you and your kids to eat what's in season. 4.We need to learn to "eat the whole farm." So says Dan Barber, renowned chef, food and farm advocate, and author of the book, The Third Plate: "...what we eat is part of an integrated whole, a web of relationships, that cannot be reduced to single ingredients." In an effort to get past wanting nothing but tomatoes, spinach, and carrots each week, you can open up to the rainbow the smart organic farmer provides through a CSA share. 5. It's not just produce. CSA members also enjoy a few fun perks, like meeting farm staff at membership appreciation happy hours, touring the farm, and even some specialty items in their shares. CSA is also about the health of our planet. City Roots is a USDA-certified organic farm, meaning we avoid the use of synthetic fertilizers and pesticides. We also employ sustainable farming practices such as cover cropping and composting. This not only provides healthy, great-tasting food but healthy soil, which is the basis of a healthy planet.